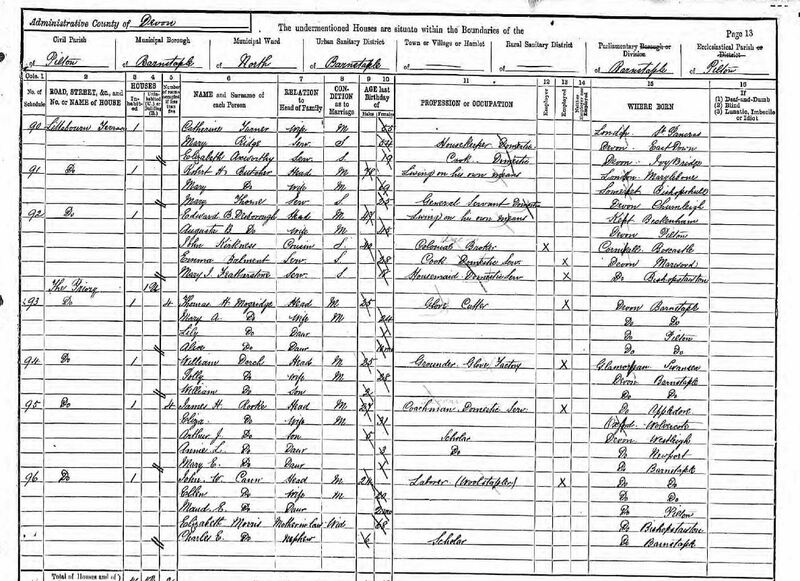 John Kirkness was born on 26 June 1850 at the Rectory, St. Symphorian’s, Forrabury, Cornwall, the son of Julia Mary Man and William John Kirkness. He was baptized on 28 July 1850 at St Symphorian’s Forrabury. 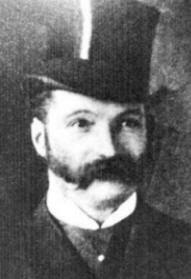 He died unmarried on 1 October 1912 at Kingston, Surrey. He was buried on 5 October 1912 at Kingston Cemetery, Kingston-upon-Thames, Surrey. For some details on John’s life a two page PDF file has been prepared by Ed Man and can be viewed HERE. 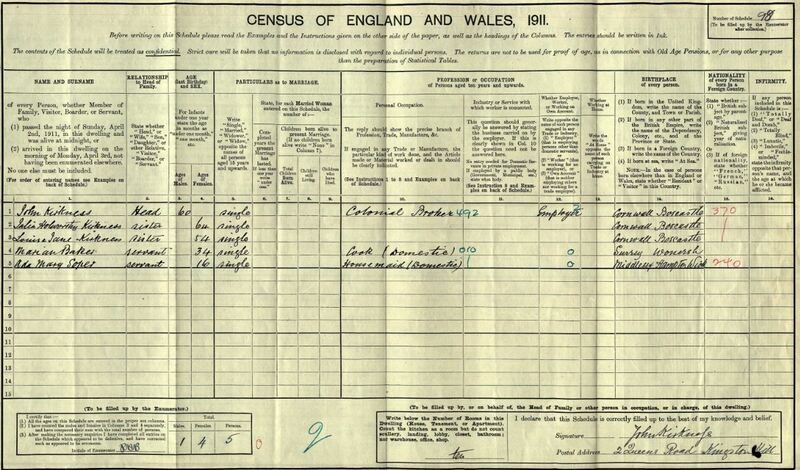 John also appears on the 1901 Census and below on the 1911.